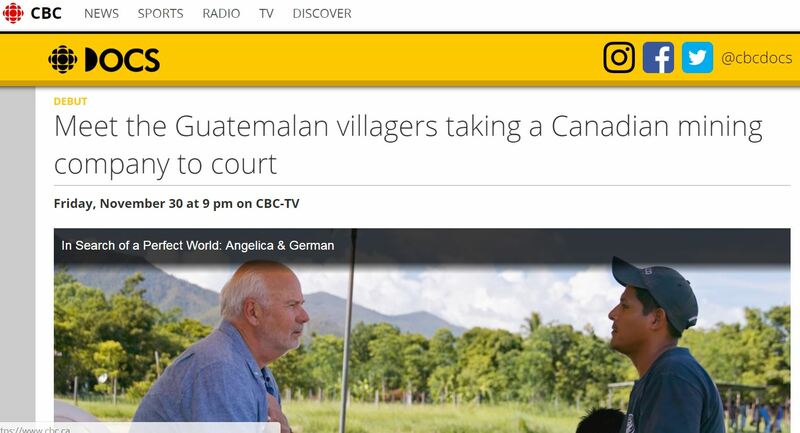 This weekend, CBC-TV will broadcast a special documentary about courageous Guatemalan villagers who are taking a Canadian mining company to court. Airs: Friday, November 30 at 9 p.m. (9:30 NT) on CBC, the CBC TV streaming app, and https://watch.cbc.ca/. Repeating on News Network Sunday, December 2nd at 8 p.m. ET/PT, and Thursday, December 6th at 10 p.m. ET/PT.